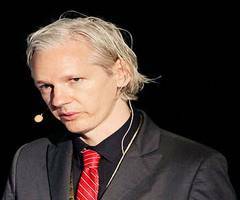 ▶ Videos for "Ecuador President"
Police in Ecuador have arrested Swedish programmer and digital privacy activist Ola Bini. 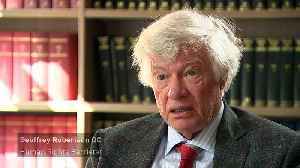 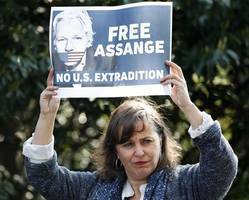 He&apos;s been accused of trying to destabilize the Ecuadorian government by “collaborating” with..
Assange's Lawyer Says Wikileaks Founder's Life In Danger If Extradited To U.S. 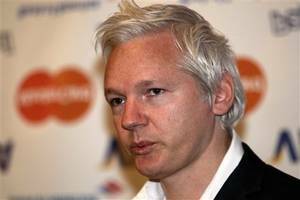 According to a report by Reuters, on Thursday, Julian Assange's lawyer said that the life of the Wikileaks founder would be in danger if he is extradited to the United States following his arrest in..
Venezuelan opposition leader Juan Guaido left on Sunday from the Ecuadorian coastal town of Salinas after announcing his intention to return home to lead new protests against President Nicolas Maduro,..
Ecuador's president is accusing Julian Assange of hosting numerous hackers at the Ecuadorian Embassy in London to give them directions on how to propagate information on topics important to the..
Foreign secretaries wrote to Ecuador’s president confirming UK would seek assurances for WikiLeaks founder’s extradition Ecuador’s president, Lenín Moreno, was assured by two British foreign.. 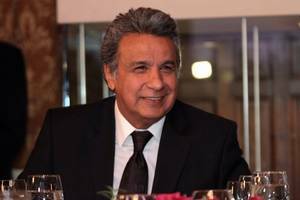 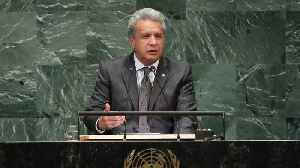 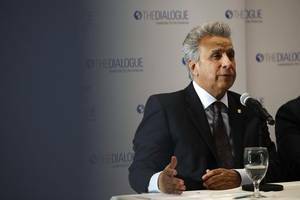 In an interview with the Guardian, Lenín Moreno expressed frustration with the WikiLeaks founder, who had been provided asylum by Ecuador since 2012. 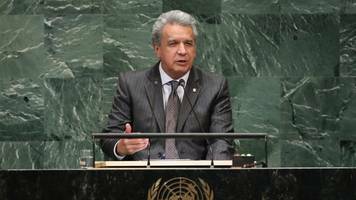 On Thursday, the country revoked that asylum. 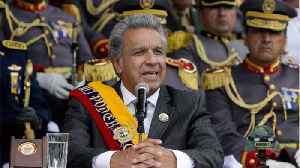 Ecuador's President Lenin Moreno claims Wikileaks founder Julia Assange was spying from the Ecuadorian embassy in London. 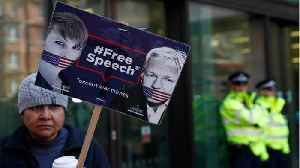 Two German lawmakers and a Spanish MEP have called on their countries to grant..
Watch VideoEcuador's president says Julian Assange tried to use his asylum at Ecuador's embassy in London to spy. 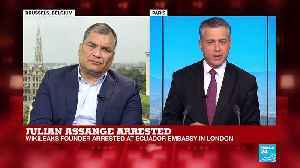 Lenín Moreno made the comments in his first interview with an English-speaking..
London: Ecuadoran President Lenin Moreno on Sunday defended his decision to overturn Julian Assange's asylum status, claiming in an interview with the Guardian newspaper that the WikiLeaks founder had..
Ecuadoran President Lenin Moreno says he overturned Julian Assange's asylum status to stop attempts by the WikiLeaks founder to set up a spy centre in the embassy. 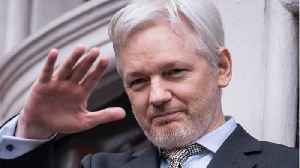 Ecuador's President has accused Wikileaks founder Julian Assange of trying to set up a "centre for spying" in the London embassy. 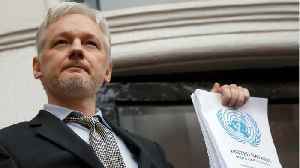 WikiLeaks and Assange have been in a struggle with his host country Ecuador and its president for some time. 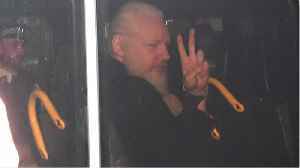 QUITO, Ecuador -- Did Western media and government hypocrisy bring about Julian Assange's arrest, or was it his bad manners? 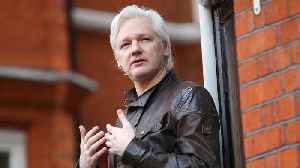 A Swedish software developer with close ties to WikiLeaks founder Julian Assange was arrested Thursday in connection with a group accused of attempting to blackmail Ecuador's President Lenin Moreno,..
Ecuador's President Lenin Moreno has lashed out again at Julian Assange, calling him a "miserable hacker" and "spoiled brat". 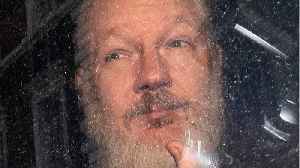 WikiLeaks founder Julian Assange faces up to a year in prison after a London court on Thursday convicted him of skipping bail and failing to surrender to authorities by hiding in the Ecuadorian Embassy..